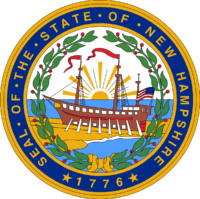 In early 2009, Cypress Associates was retained by the office of the Attorney General of New Hampshire on behalf of the State to assist it in evaluating the financial feasibility of a proposed 99 megawatt $275 million wind power project to be located in Coos County, NH. The project is being sponsored by Granite Reliable Power, LLC (“Granite Power”), a company established and majority owned by Noble Environmental Power, a renewable energy company founded in 2004. Cypress provided expert testimony on Granite Power/Noble Environmental’s business and financial plan, especially focused on their ability to complete the project financing during a period of severe stress in the financial markets. We were the “publics” financial advisor and expert financial witness at New Hampshire Site Evaluation Committee hearings in direct testimony and cross examination. As a result of our work product and testimony, Granite Power materially augmented the financial strength of the project.